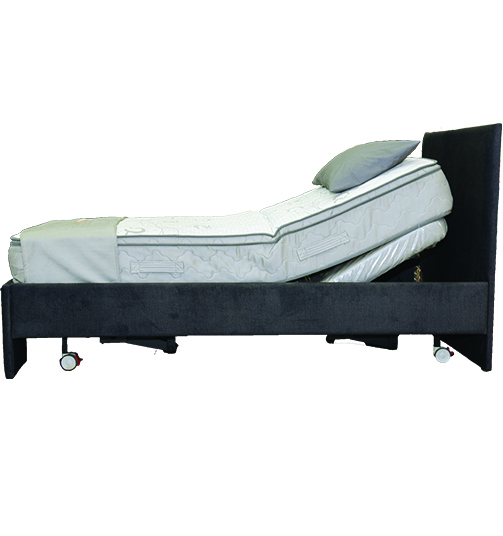 The Bluesky Healthcare Bodyline Dual Lift Bed is our most popular model and it's easy to see why. 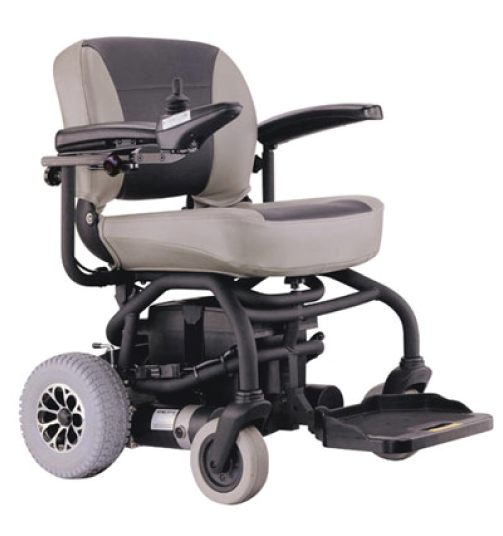 It allows you to elevate the headrest of the bed anywhere from flat to 80 degrees as well as elevate the leg rest of the bed anywhere from flat to 65 degrees. 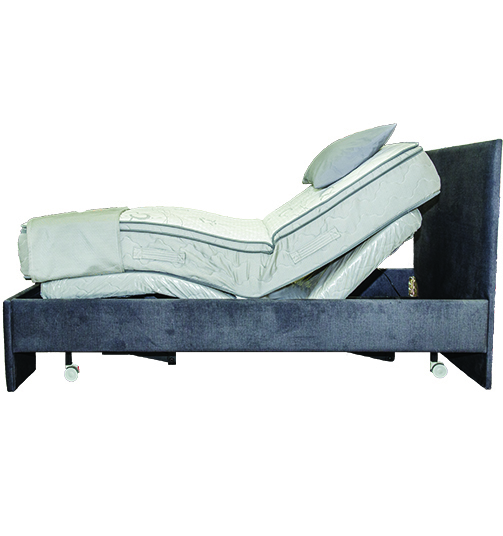 The headrest and footrest of the bed can be controlled separately from each other or at once, allowing you to find the position that is best for you.The Leg rest has a knee break, which allows for a comfortable and natural movement. 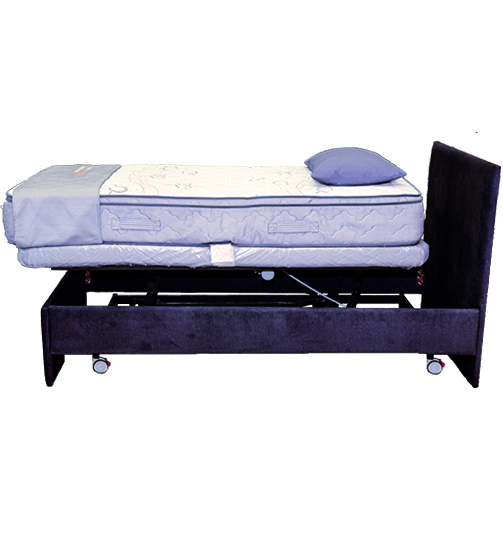 You can also add the Hi-Lo function to this bed, which will elevate the bed horizontally. To find out more about this function click here. 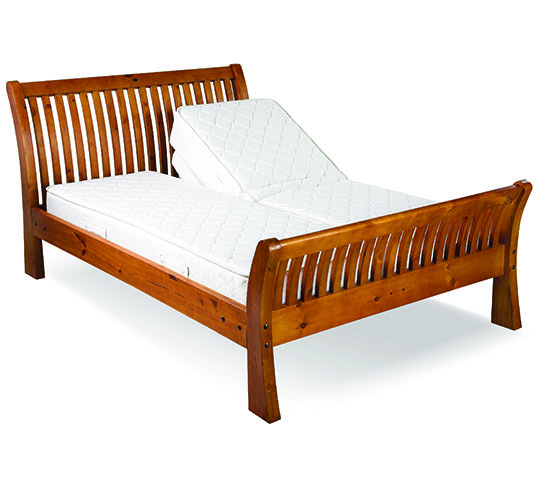 Like all of our beds, this bed is custom made to your requirements. This means that we can make it the perfect height or length to suit your needs. We also offer five different mattresses that you can choose from. 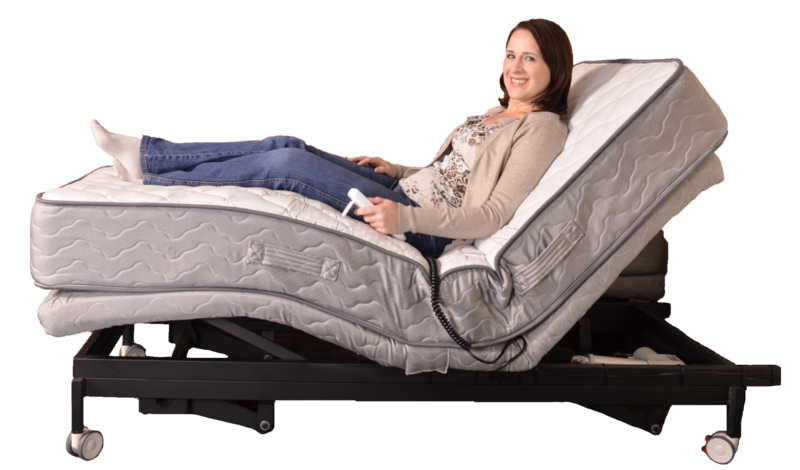 Unlike many other electric adjustable beds, our mattresses don't require any metal/plastic bars to stop the mattresses sliding off the bed. We have developed a velcro system that secures the mattress to the Bed. This means that you can sit down on the base of your bed without having to worry about any wires bruising the back of your legs and as a bonus, Bluesky Healthcare Mattresses don't require any turning.